Prevention Action Alliance, formerly Drug Free Action Alliance, is a certified prevention agency that has been leading the way in promoting healthy lives through the prevention of substance misuse and fostering mental health wellness for 30 years. Know! gives the parents and caregivers of middle and high school-age kids the education, tools, strategies, and empowerment they need to raise children who are alcohol, tobacco, and drug-free. Check out the latest newsletter by clicking below. The Deer Park website contains an archive of Know! 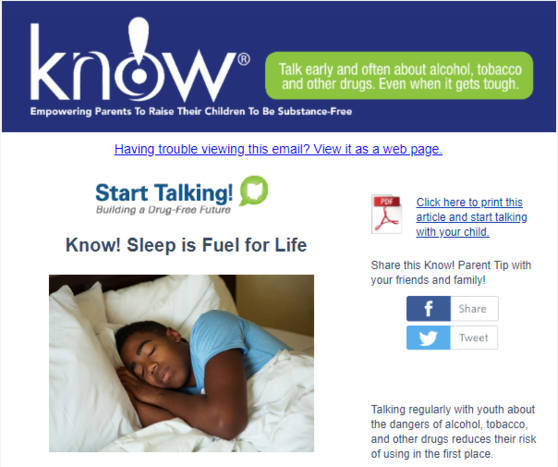 newsletters for parents discussing a variety of different topics focused on substance misuse, as well as mental health wellness. You can check out all of the archives HERE.